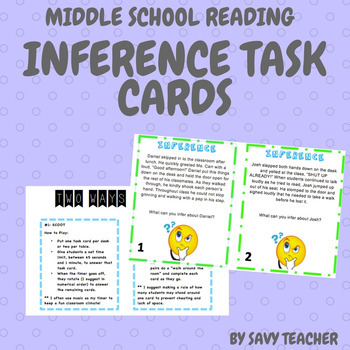 Within this product you will find 16 inference task cards, two ways to “play,” a recording sheet, and the answer key. 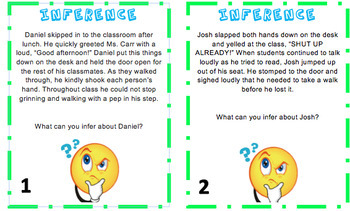 There are a total of 16 inference task cards, each with a question that prompts students with an open-ended response. The task cards get more difficult as students go through the cards in numerical order. 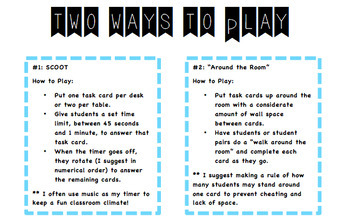 I use these task cards at stations or as a backup activity when students finish early.